What are your riding goals? Malachi Acres can help you achieve your riding goals whether they are dreams of quiet rides into the sunset or showing your own horse in a National competition. Our professional lesson program not only teaches riding skills, it creates confident and knowledgeable equestrians with the ability to ride and work safely around horses. Training Staff: We like to fit the rider with the most appropriate instructor for their goals and needs. 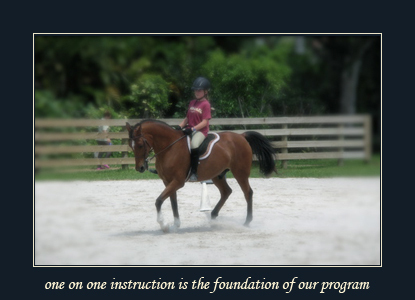 Our program offers English (balanced seat) and basic Dressage fundamentals. Donice Muccio – Owner and instructor, beginner thru advanced instruction for all ages, show training for young children and junior riders, Special Needs lessons.